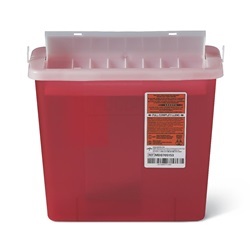 Red 5 quart multi-purpose sharps container that measures 11" high, 10.75" wide, and 4.75" deep. 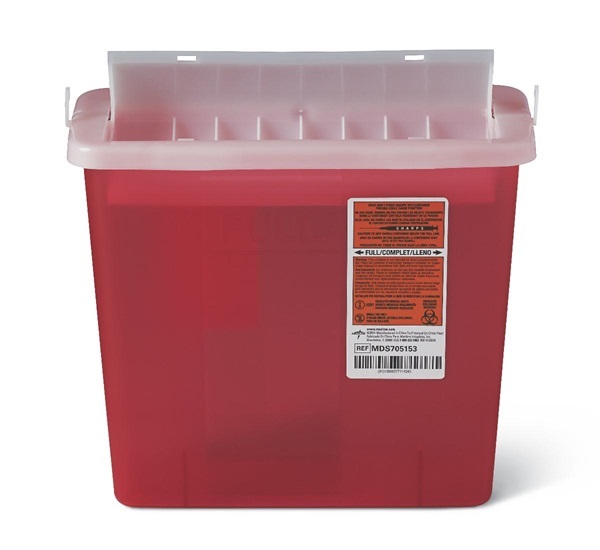 Plastic container is one piece and has a locking, horizontal entry lid. Wall mount compatible. Manufactured by Medline.